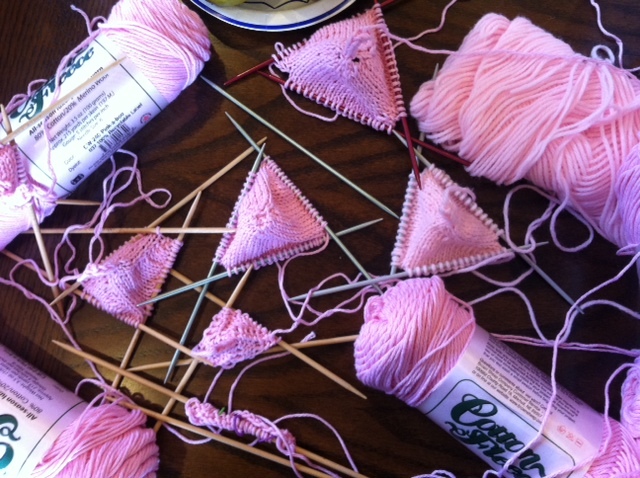 Knitted Knockers Kick-Off – Love.Yarn.Shop. 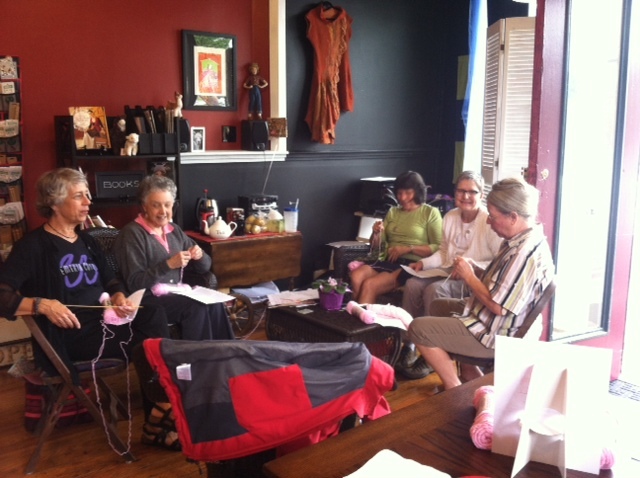 Eight women gathered to start their knitted prosthetics for breast cancer survivors. 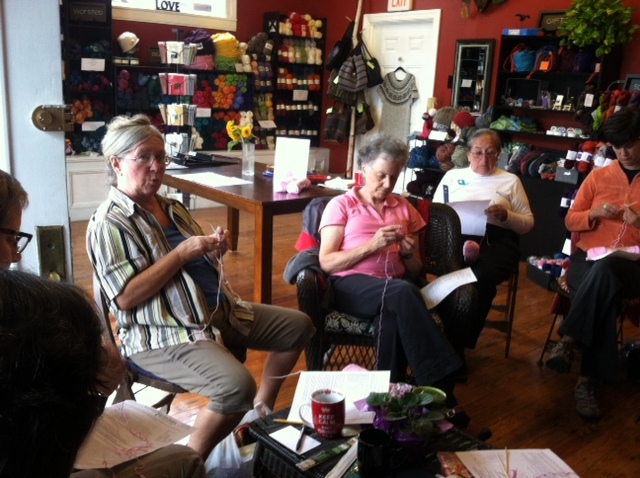 Some of us found it easier to do knit front and back, instead of make 1, because there are increases in every row, and it can get a bit tight. The website Knitted Knockers provides patterns for magic loop, double points, straight needles, and crochet, and the patterns have sizes from A cup to E cup. The knitted prosthetic starts with a I-cord.